I mentioned in my Products to try: February post that I would write a full review of this highlighter, as I really like it. I love highlighters that provide a natural, radiant glow, without being shimmery or glittery. The only ones that I had found to do that though were cream highlighters and I prefer powder highlighters, as I find they are easier to apply. 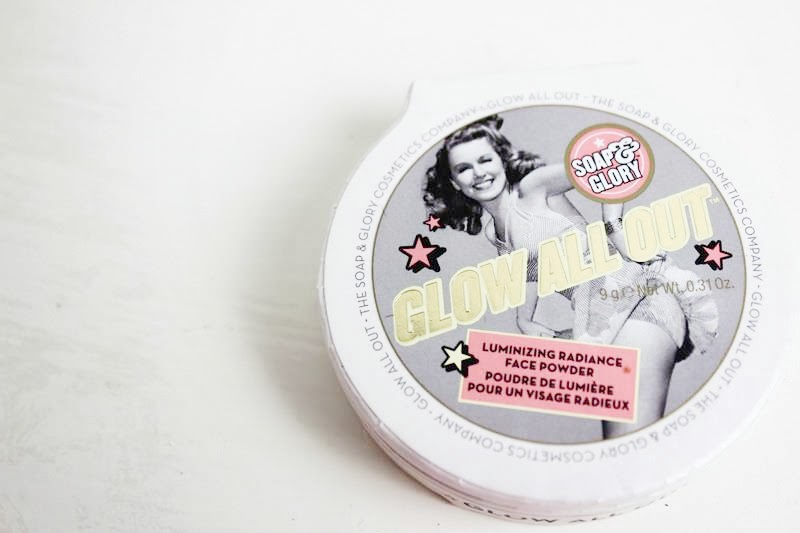 I had read several good reviews on the Soap and Glory glow all out highlighter, so decided to give it a go. This is my perfect highlighter. My skin is left with a subtle, radiant glow and is not at all glittery. It is a light pink shade and compliments my pale skin, whilst looking very natural. I apply this using my Real Techniques contour brush which I find the perfect size and it helps to blend this nicely. I usually just apply this to my cheekbones and then dust any remaining on the brush down my nose and above my lip. Let me know what your favourite highlighter is! This is £11 from Boots. such a pretty highlighter, love the packaging! It looks very nice. My skin is pale as well so I might be checking it out soon. This is super pretty Becky :) I'm yet to experiment with Soap and Glory Make Up. So gorgeous, the pink tone is beautiful!